I must admit, I am not overly adventurous with my hair styles, but have a lot of appreciation for 'hair-dos' going back over the decades. There are many vintage hair tutorials that can be found on the internet (I found a great board on pinterest dedicated to vintage hair and make up here), and if I were brave enough, I'd love to give some a try. This elegant Victorian style looks great and it easy to achieve. Brush your hair into a smooth, neat ponytail about on line with your ears. Pull the elastic band so that it sits about two inches from the scalp an inch or two from your scalp and then spread the section between the band and scalp to create an open pocket. 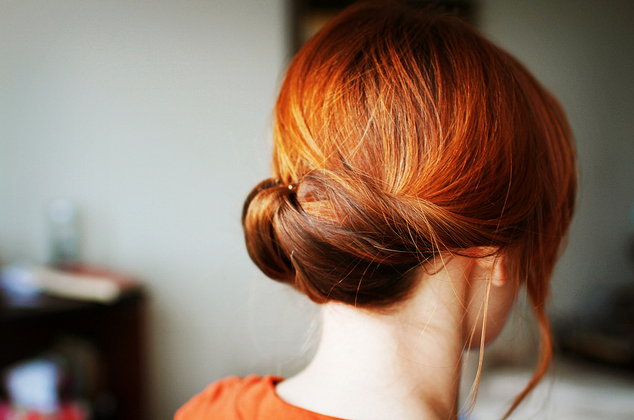 Flip over your ponytail and roll it into the pocket, making sure that you don't push it through. Use hair pins to secure the rolled-up ponytail in place (use a final pin to secure the elastic band from the pony and hide it from view. Tip: braid some small sections of your hair to achieve an ethereal look. To achieve a chic 1920s Gatsby Girl wave you’ll need a curling iron, clips, hair bands, lots of hairspray and a round brush. 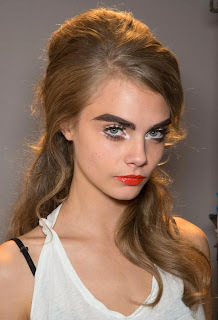 Use a comb to create a deep side parting. Use your curling irons to curl the entire head of hair – best to start at the top of the head, pinning the curls up into rolls as you go. Next let all the curls down and gently brush them out to create loose waves that are flat on the top of the head and wavy towards the ends. Spray a liberal amount of hairspray to the parting to keep hair lying flat to the top of the head. 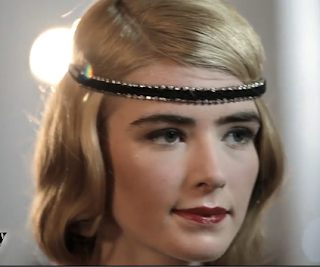 Accessorise with a Gatsby-style accessory! The elegant 1940s victory roll is a stalwart vintage classic. To achieve the perfect victory roll, you’ll need a good comb, and abundance of hair grips and some hair spray. Next, hold one of the sections out to the side so that it’s a smooth and flat piece of hair, and then grab either end and roll it in to form a cylinder. When the curl reaches your scalp, pin it in place with hair grips. Spritz into place with plenty of hairspray. Top tip: the victory roll is easier to achieve with hair that hasn’t just been cleaned, as it’s easier to control! Fact: the victory roll is so named after the roll manoeuvre performed in elation by planes at the end of World War II. This bouffant is a strong retro look that’s super easy to achieve. Take a comb, paddle brush, hair grips and hairspray. Take a panel brush over the top of the bouffant to gently smooth over without taking away the volume. Next, take some grips and pin the bottom of the bouffant to the scalp about halfway between the crown of your head and nape of your neck. Either keep the rest of your hair straight, or use curling irons to create a soft wave like in the picture. Once again, apply tons of hairspray to hold in place! So, there you have it; which of these fabulous four vintage looks will you try? This article was contributed by Laura Moulden on behalf of Hershesons, specialists in human hair extensions. Images courtesy of hairstylestars.com, saralynnpaige.com, on.aol.com, and hellousdaily.com. Readers, are you brave enough to retro style your hair? Perhaps you prefer to keep your hair style fairly simple? The updated Victory Rolls look so beautiful. I love vintage hairstyles too. One I 've been wanting to try is the "Farah Fawcett" look. I've looked at tutorials and it seems complicated. But I do a pretty good victory roll though so I'll probably try it out one day. Alexandriaweb, the key is to style hair that's not freshly washed. Plus you may need to tease or curl the hair to give it more volume. Good luck with the victory rolls! I love the victory rolls!